fashion baju kurung moden and baju melayu ---Material: Combining modest appeal with satin-like floral detail, this pair is the perfect grab for either wedding parties or Eid. Top: - Polyblend - Round neckline - Back zip fastening - Long sleeves - Relaxed fit - Unlined Bottom: - Polyblend - Hook and zip fastening - A-line silhouette - Relaxed fit - Unlined ---Our MOQ: Low moq for the initial order,accept small quantity, we have our designers team, so your sample/ sketch can be manufactured; ---Samples: lead time 5-10 working days; ---Mass productions delivery time: 20-30 days ; ---Payment term: 1) We accept T/T, western Union, Paypal. ---About the label : We can put your neck lable,hand tag,care lable in your orders ---For the size : we can do as your size secification --- Quality control : we have two QC department, for the first time inspect the products including cutting the thread ends, ironing the order , clearing the stains , After, we need to check the size fit whether that is meet customers' size specification Packaging & Shipping Products procedures Offer fast service:sometime maybe I am not on computer so please check the below image to find somemore contact ways about us Thanks for your browsing and have a nice day!!! 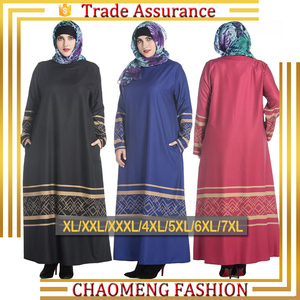 Style: D5569 model baju kurung modern 2016 ---Material: polyester ---Our MOQ: Low moq for the initial order,accept small quantity, we have our designers team, so your sample/ sketch can be manufactured; ---Samples: lead time 5-10 working days; ---Mass productions delivery time: 20-30 days ; ---Payment term: 1) We accept T/T, western Union, Paypal. 2) 30% for deposit with the order play, and 70% balance should be paid before shipping. ---About the label : We can put your neck lable,hand tag,care lable in your orders ---For the size : we can do as your size secification --- Quality control : we have two QC department, for the first time inspect the products including cutting the thread ends, ironing the order , clearing the stains , After, we need to check the size fit whether that is meet customers' size specification Packaging & Shipping Products procedures Offer fast service:sometime maybe I am not on computer so please check the below image to find somemore contact ways about us Thanks for your browsing and have a nice day!!! fashion baju kurung malaysia moden designs ---Material: Top - Polyblend - V neckline - Long sleeves - Relaxed fit - Unlined Bottom - Polyblend - Partially elasticised waistband, and hook and zip fastening ---Our MOQ: Low moq for the initial order,accept small quantity, we have our designers team, so your sample/ sketch can be manufactured; ---Samples: lead time 5-10 working days; ---Mass productions delivery time: 20-30 days ; ---Payment term: 1) We accept T/T, western Union, Paypal. 2) 30% for deposit with the order play, and 70% balance should be paid before shipping. ---About the label : We can put your neck lable,hand tag,care lable in your orders ---For the size : we can do as your size secification --- Quality control : we have two QC department, for the first time inspect the products including cutting the thread ends, ironing the order , clearing the stains , After, we need to check the size fit whether that is meet customers' size specification Packaging & Shipping Products procedures Offer fast service:sometime maybe I am not on computer so please check the below image to find somemore contact ways about us Thanks for your browsing and have a nice day!!! 2017 latest fashion lace design baju kurung moden ---Material: --- polyblend Lining: Polyester Top: - Polyblend - Round neckline - Concealed side zip fastening - Long sleeves - Regular fit - Lined Bottom: - Polyblend - Back zip fastening - Regular fit - Inner lining ---Our MOQ: Low moq for the initial order,accept small quantity, we have our designers team, so your sample/ sketch can be manufactured; ---Samples: lead time 5-10 working days; ---Mass productions delivery time: 20-30 days ; ---Payment term: 1) We accept T/T, western Union, Paypal. 2) 30% for deposit with the order play, and 70% balance should be paid before shipping. ---About the label : We can put your neck lable,hand tag,care lable in your orders ---For the size : we can do as your size secification --- Quality control : we have two QC department, for the first time inspect the products including cutting the thread ends, ironing the order , clearing the stains , After, we need to check the size fit whether that is meet customers' size specification Packaging & Shipping Products procedures Offer fast service:sometime maybe I am not on computer so please check the below image to find somemore contact ways about us Thanks for your browsing and have a nice day!!! Pictures Show : Contact us: welcome to order ,please =&gt; skype :simonchouchina !!! We adhere to the quality of life is the concept of enterprise . Supply the best quality products and service for each customer . 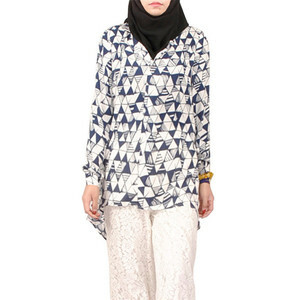 Alibaba.com offers 327 kurung moden products. About 84% of these are islamic clothing, 3% are lace. A wide variety of kurung moden options are available to you, such as oem service, in-stock items. You can also choose from free samples, paid samples. 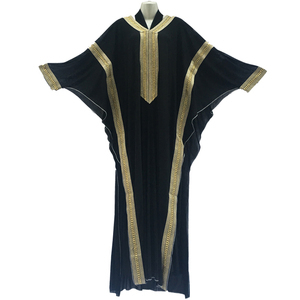 There are 327 kurung moden suppliers, mainly located in Asia. The top supplying country is China (Mainland), which supply 100% of kurung moden respectively. 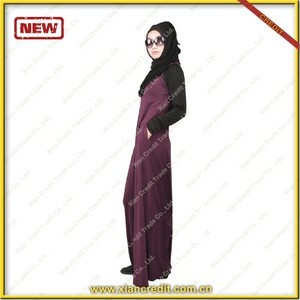 Kurung moden products are most popular in North America, Western Europe, and Southeast Asia. You can ensure product safety by selecting from certified suppliers, including 7 with Other, 1 with OHSAS18001, and 1 with ISO9001 certification.